Should You Launch a Podcast with Multiple Episodes? “New & Noteworthy” (N&N) is a combination of two kinds of podcasts: those that are new, and those that are noteworthy. Apple has 100% editorial control over what appears in N&N. If you actually look closely at podcasts in there, you'll see old and new podcasts, and you'll see some podcasts with only one episode, others with more. Podcast ranking is based on subscriptions, not episodes. However, there is a very small, indirect truth to this myth. More episodes provide more keywords for search, which can make your podcast show up in more relevant searches when you have more episodes, but your position in such results is not based on the number of episodes. The default behavior of most podcast apps is to download only the latest episode of a podcast when subscribed. So merely launching with more episodes doesn't mean they'll all be downloaded; they'll only be available to be downloaded if your new subscriber chooses to do so. How many episodes should you launch with? 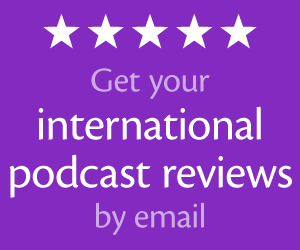 One episode is all that's required to get your podcast in nearly all apps and directories. And it doesn't even have to be a full episode! With iOS 11, Apple now provides a “trailer” episode type you can use. But even without that, your first episode could be a 30–60-second trailer of the podcast yet to come. This is not an “episode 0.” Most of these end up being all about the podcaster and what's to come. I think these kinds of self-centered episodes are a waste of opportunity and time. If you want to build excitement for the upcoming podcast, do that in 30–60 seconds. But make your first episode deliver so much value your audience will feel compelled to subscribe. So when I'm referring to launching with multiple episodes, how many should that be? 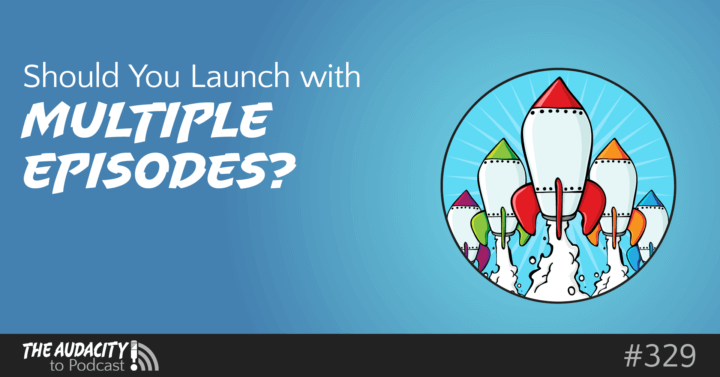 I will be basing the following benefits and disadvantages on launching with 3–5 episodes. I think that's a good number because it's small enough that can do it quickly but large enough that it gives your audience a great taste of your podcast and gives you more opportunities. However, my advice does exclude the “seasonal dump” approach of publishing an entire season of episodes all at once (such as S-Town, ConversionCast, and some Netflix or Amazon Prime shows). The decision of launching with only one or with multiple episodes is up to you. I will share benefits and disadvantages I see, but the mere number of one or the other shouldn't be your deciding factor. You must decide what's right for yourself, your podcast, and your audience. Assuming you have good episode titles, launching with multiple episodes gives potential subscribers a good view of what your podcast is about. They can preview your topics without having to read your podcast's description. 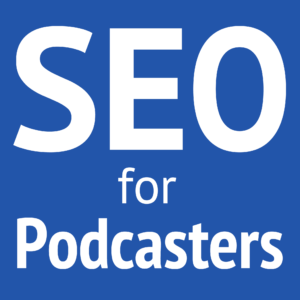 In Apple Podcasts, some other podcast apps, and website search engines, each episode and accompanying post contribute to the findability of that podcast. For example, even if your podcast title or description don't include “Best vanilla cream sodas,” an episode by that title can make your podcast or website appear in relevant searches. Thus, the more episodes you launch with (and eventually hold in your RSS feed), the more opportunities your podcast can be discovered! “Podfade” is the probable unintentional consequence of inconsistency. It's when a podcast slowly fades from active status because episodes are no longer published and there was no official announcement about the podcast's future. According to Blubrry's year over year statistics, most podcasts podfade within 7 episodes. I've seen the same thing in casual browsing, plus, they usually had an inconsistent publishing schedule. That doesn't mean you must launch with 7 episodes. But if you're committed to your podcast, you can show that by launching with multiple episodes. When you do this, backdate your episodes so they reflect the publishing schedule you want to have. WordPress with PowerPress, Libsyn, PodBean, and other good publishing platforms give you the ability to change the date on already-published content. When you market and write the description for your podcast, you're making a kind of promise with your audience. You're promising to provide certain content, to promote certain results, with certain perspectives, and on a certain schedule. Launching with multiple episodes helps set those expectations for your quality, uniqueness, consistency, and more. People often like to binge on what they like. Launching your podcast with multiple episodes not only gives them that opportunity to binge on your new show, but it also gives them a deeper taste of your content. That can result in their getting hooked more easily. Unfortunately, there's a fine line between marketing and drug-dealing. But the point of marketing should be to give people what they need to improve their lives! That said, consider addictive substances for a moment. Most people don't get hooked with a tiny taste; it takes a bigger sampling. You can often see this in TV shows, too. One episode may not be enough, but after you watch a few episodes, you probably get more wrapped up in the characters and plot. I've felt this way about several podcasts myself. Each episode of your podcast can create engagement. Launching with multiple episodes multiplies those opportunities. Things like your website address, email address, phone number, or social accounts will be more memorable when they're heard multiple times, especially if in a short amount of time. There are many ways to promote your podcast to grow your audience. If your episodes can stand alone, launching with multiple episodes gives you that many more pieces of content you can use to promote and grow your podcast. Consistency is one of the most important ways to build trust, respect, and authority, but that takes time. You can give yourself extra momentum in the beginning by launching with multiple episodes. This allows your audience to receive a larger sample of your passion, communication skill, and production quality. Each episode is a little boost to your reputation, so launching with multiple episodes can give a jumpstart. There are plenty of positives, but also some negatives. Don't let this be a mere numbers comparison, but figure out what applies to your situation. Each additional episode you include in your launch increases the “costs” by almost a whole factor. That cost could be in time, creativity, or even actual financial investment. The profound truth is that launching with 3–5 episodes “costs” about 3–5 times as much as launching with only 1 episode. It's like launching a business with 10 employees versus only 1. You must consider whether the increase in startup “costs” is worth it. Because launching with multiple episodes costs more time, that time will most likely mean your podcast will have to launch later. This happened to me with the launch of my Once Upon a Time podcast. I was so focused on launching with multiple episodes, that we didn't actually launch until right before the show went on a hiatus! But before you think a botched launch means the failure of a show, we were still able to grow our podcast to the #1 unofficial podcast for that TV show. Remember that your podcast—no matter the subject—has the potential to positively change lives. So do you really want to postpone that change so you can launch with more than one episode? Unless you have massive skill and resources at your disposal, your first one or several episodes will probably not be as good as later episodes. You can improve as you go! Your audience's feedback is crucial to helping you improve your podcast. So if you launch your podcast with multiple episodes and your audience points out something that needs to be improved, you won't be able to improve it as quickly. 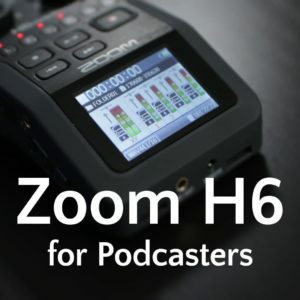 It could be several episodes before the changes make their way into your podcast. And in the meantime, your show's shortcomings could be turning away potential subscribers. But if you can have a more agile workflow—that is, able to quickly change as necessary—you can make important improvements before the next episode, and your audience can enjoy the fix right away. Getting your audience engaged and even involved with your podcast is key to turning them into ambassadors. If you involve your audience in any way, launching with multiple episodes means they won't be included for a while, depending on how quickly they listen to your episodes. This is especially apparent if you're asking for audience participation. You'll sound lonely and unappreciated if you're asking for several episodes before you have anything to share. If your podcast covers any kind of current events, such as news or sports, trying to launch with multiple episodes is almost pointless because your older episodes will probably be irrelevant. This only partially applies to podcasts about TV shows and such, because true fans will probably be interested to hear older episodes anyway. However, those older episodes may sound stupid considering the knowledge you and the other fans may have by the time you launch.